In The Lobtser, single people in a dystopian world are sent to a seaside hotel in which they have forty five days to find a companion and fall in love. If they fail, they are turned into the animal of their choice and released into the wild. And there are severe punishments for those who try to lie about their true feelings. The Lobtser starts off as a fantastically deadpan comedy, and any doubts I had about the whimsy premise are brushed aside from the start, thanks to the assured direction and a confident script. The film works right away, and we instantly buy the universe we are transported in, one that feels as if it is set both in the past and the future and that is like a combination of Never Let Me Go and 1984. It also has a cruel streak reminiscent Yorgos Lanthimos's previous work. The visual jokes fall thick and fast alongside some fantastic one-liners, which had the whole Théatre Lumière erupting in spontaneous fits of laughters on its morning press screening here in Cannes. There are also echoes of old Europe surrealism, especially Bunuel, and some rather beautiful and evocative visuals of both bleak seaside landscapes and timeless interiors, with the director displaying a formal talent that we had not experienced so far. Olivia Colman as the hotel manager elicits the biggest laughs with her quirky yet authoritarian streak, a very typically English combination (see the gleeful and unusual punishment she inflicts upon a poor soul who has indulged in forbidden self pleasuring), and she has some great comical support from Ben Wishaw and John C. Reilly as guests of the hotels with various fortune in their quest to find a soulmate. I also particularly love the character of the “heartless woman” (Angeliki Papoulia, a Lanthimos regular), who more than deserves her name, and with whom David has a disastrous attempt of romance as days pass and desperation sets. As for the various accents which in other films can prove distracting, Yorgos Lanthimos actually use this to his advantage, having the whole cast speak in a deliberately flat tone to mirror the awkward and artificial small talk of the modern dating experience. But it soon becomes obvious that the director of Dogtooth does not just want to offer a quirky but empty fantasy. He has the idea of laboured, artificial romance that is forced upon us by society very much in his sight, yet his message is delivered so beautifully that it never feels obvious or laboured. And anybody who has suffered the horror and indignities of blind dates, the concerned yet misguided sympathy of friends and families for singletons as well as their well meaning but disastrous match making attempts, not to mention single holidays and whatever the whole dating industry throws at us these days will wince. And the erroneous concept that life can only be fulfilled with companionship is a recurring theme throughout. In its second half however, the director changes tone, and reading the first reviews, this seems to have thrown off course some who had loved the first half, accusing the film of dwindling and running out of steam. This could not be further from the truth. Without saying too much, (and I am only going as far as the official synopsis goes), David escapes and finds himself among the community of The Loners who live in the woods, led by a strict ruler (Léa Seydoux, impressive), and with whom falling in love is not allowed. But love is precisely what happens. 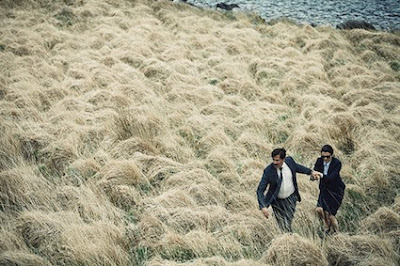 And this is where The Lobster really finds its depth, where it truly celebrates romance, an unplanned romance in a very subtle and touching way. Yorgos Lanthimos has often been accused of empty cynicism and this should silence his critics. The pace slows down and the film becomes even more affecting. And this is in no small part due to Rachel Weisz who delivers the real knock-out performance of the film, but in a very understated way, slowly winning the audience over. Her chemistry with Colin Farrell (also wonderful throughout the film) is discrete but feels very real. The melancholy takes over and there is a subtle yet great emotional pay off, with a beautifully ambiguous ending. 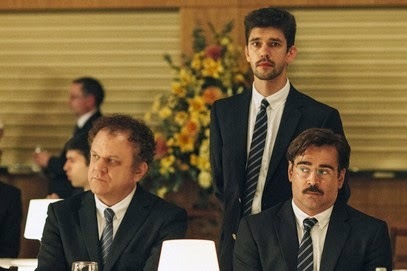 With The Lobster, Yorgos Lanthimos has grown in every possible way as a director, and matured in the process. 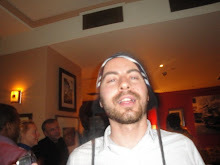 He has kept his idiosyncratic touch, but has added an refreshing emotional depth and honesty. And I believe we have found a first serious contender for the Palme d'Or early on.